Sometimes I take for granted dishes that for me are simple so I don’t consider necessary to make a recipe, but my sister asked for a specific recipe for cauliflower, because she would have no idea how to combine ingredients to make it tasty. 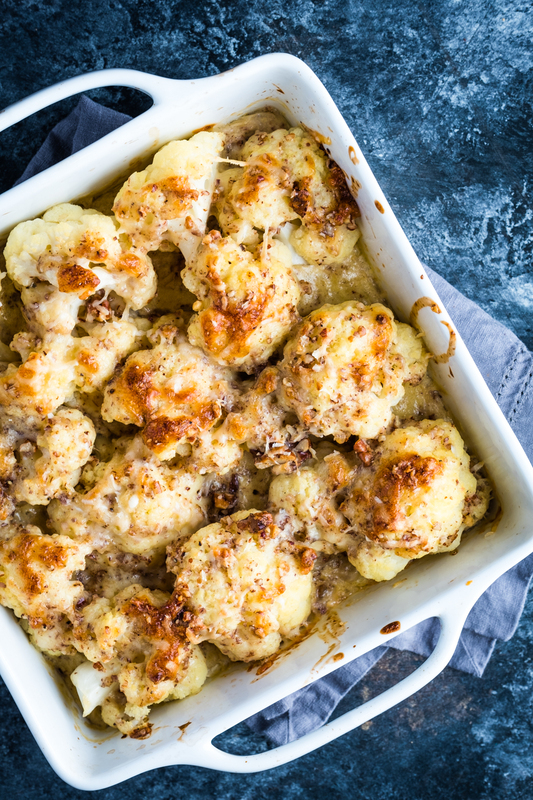 So for her I put together this lectin-free cauliflower gratin recipe and I hope some of you will also find it useful, and tasty. Firstly, this is one of my favorite ways to have cauliflower. 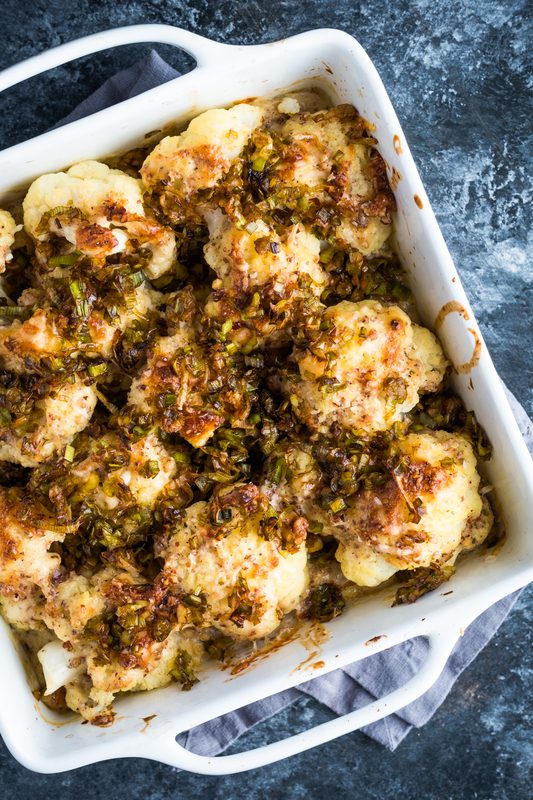 It tastes really good and it’s quite festive, even though for us following a low carb lifestyle cauliflower has become an every day staple and a replacement for everything. 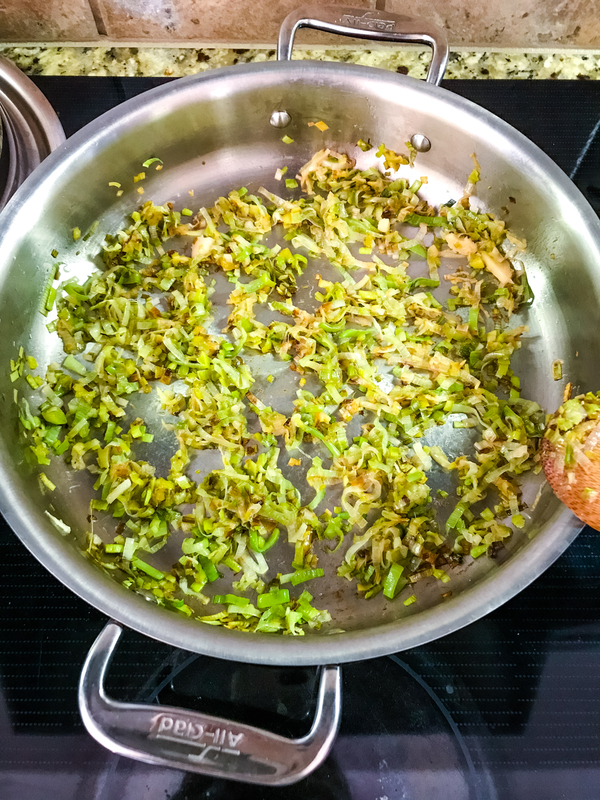 Secondly, is super simple to make even though the caramelized leeks require some presence and attention in the kitchen, but it’s totally worth it, it elevates the dish by creating an umami layer. Just to be clear this is not your usual gratin dish, which is made with flour, milk and cheese, and sometimes breadcrumbs, but it’s pretty close, that’s why I call it gratin. I used heavy cream, Gruyere and Parmesan cheese (not much of either if you worry about the amount of saturated fat or dairy), and ground pecans. 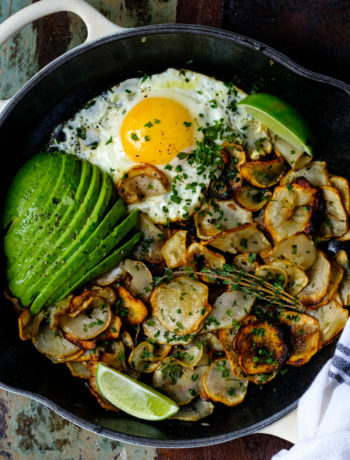 Alternatively, you can make this dish dairy free, by using coconut milk and nutritional yeast. This is how the dish looks before adding the the caramelized leeks. Since there is no flour in the sauce, it will not get thick, but if you want that you can mix in about 2 tsp arrowroot powder, mixed with cold water first. 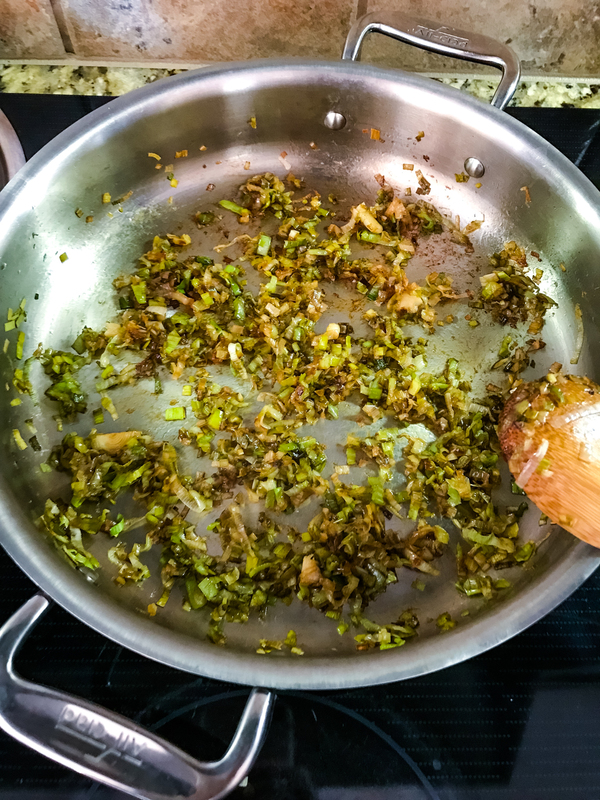 The caramelized leeks will be added at the end, so you can make them while the cauliflower is in the oven. Making them is easy, but you have to be there and watch them, and stir often. These are some pictures of the process to help you visualizing. 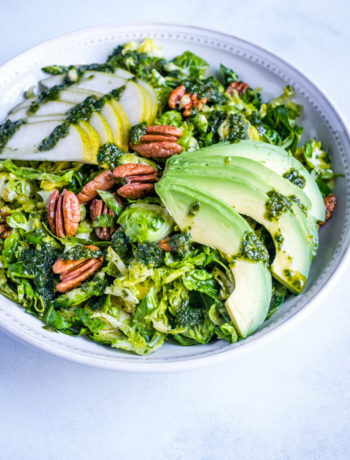 A tasty, low carb festive lectin-free side dish. Boil the cauliflower first, for about 5-7 minutes (if you florets are smaller maybe less, you still want the cauliflower to be firm). Drain the cauliflower and add it to a baking dish (a 9x9 inch or something similar in volume is perfect). Mix the heavy cream with Gruyere cheese and nutmeg, the pecans, some salt and pepper to taste. Add the sauce on top of the cauliflower and sprinkle some grated parmesan cheese on top (I added a handful, you can go crazy here if you want and don't care for keeping the dairy moderate). 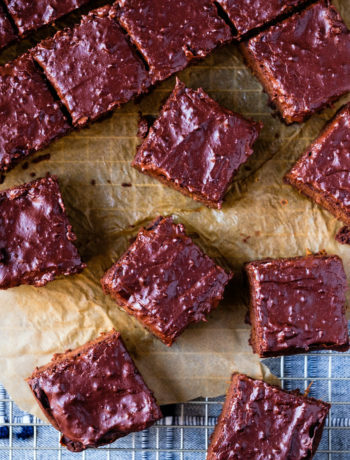 Cake for 25-30 minutes, or until the cauliflower gets a golden brown color. 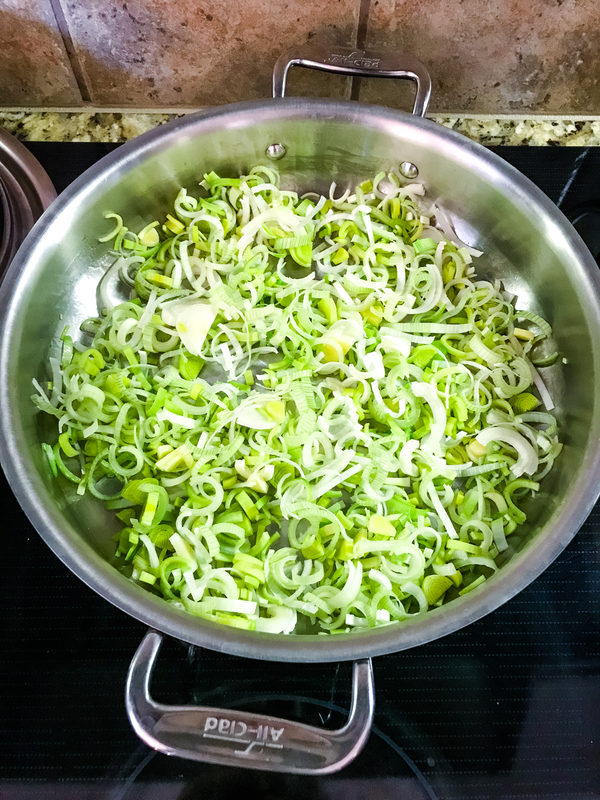 While the cauliflower is in the oven, prepare the caramelized leeks. Finely slice the half sections (use the white part and a little bit of the light green, but not the leaves). Add a little bit of avocado oil to a sauteeing pan (I used a large one, so most of the leeks have contact with the pan) and heat on low to medium heat. 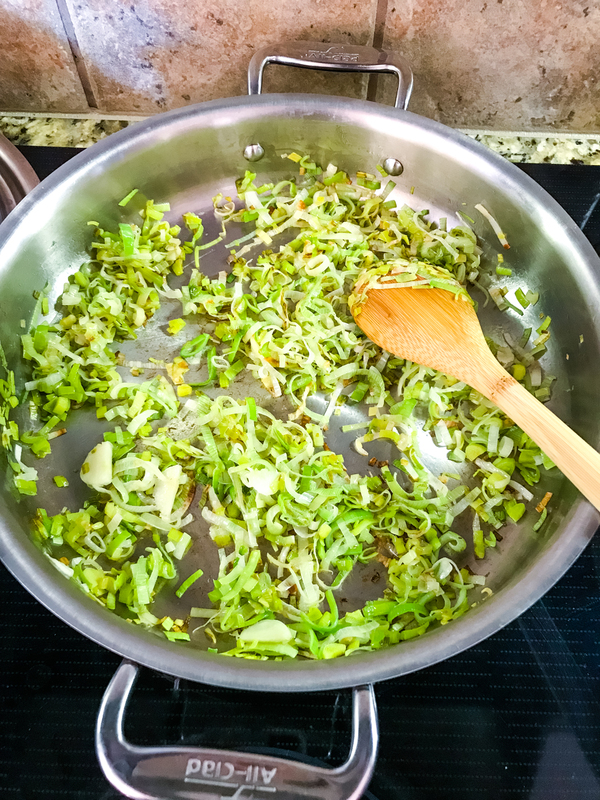 Add the leeks and stir every time they get a little stuck to the pan. When you start to get brown spots on the pan, start adding just a tiny amount of water (about 1 tsp) and continue to stir and watch them (continue this until they are caramelized). They take about 25 minutes to be ready, but it's worth it, they are so tasty. At the end add a sprinkle of balsamic vinegar (used an aged, slightly thick one), stir some more and take off heat. Add the caramelized leeks on top of of your cauliflower and bake for 5 more minutes. ON THE RICH SIDE BUT YUMMY. Mmmmm this looks lovely. I am very new to the lectin free diet so I wonder… how is heavy cream lectin free? Hi Jodi, I recommend you read The Plant Paradox book, it will help you understand all the “why”s and will make it easier for you to implement PP in your life. The thing is, is not all about lectins. The reason we avoid certain dairy products is because they have a protein called Casein A1, which is not healthy for us (as opposed to Cassein A2 which is easier for us to digest). Heavy cream is mostly fat, so no protein, so no casein A1, so acceptable in moderation (small quantities). Look for an organic and / or grass fed brand. Thanks so much Claudia! I listened to The Plant Paradox audio book a couple of weeks ago. I remember the casein A1 part but missed the part about cream not having protein. I have ordered the book on Amazon to take a better look and get a better understanding. I can’t wait to try this recipe. I will let you know how it goes. I want to try so many of your recipes! !